Mu-tron (short for Musictronics) developed a series of highly innovative effects throughout the '70s, including the popular Mu-Tron III envelope filter. 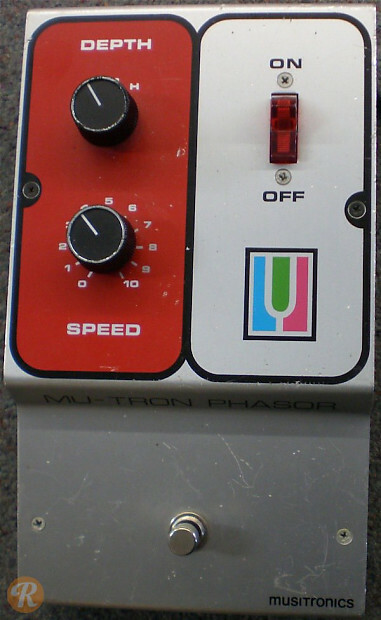 The Mu-tron Phasor was an early phase shifter with speed and depth controls. An upgraded version with three control knobs was introduced as the Phasor II circa 1976.